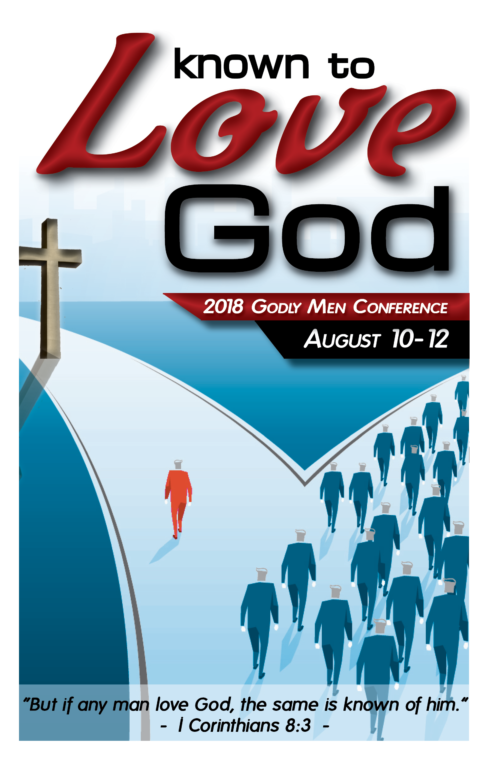 August 10-12, we will be having our 4th annual Godly Men Conference. This conference is for the purpose of teaching, encouraging and helping Christian men (boys 10 yrs+ are welcome-Dad’s discretion) to be more like Jesus in all areas of their lives. Our guest speaker this year is Dr. Keith Gomez. He is a well known preacher and is pastor of Northwest Bible Baptist Church of Elgin, Illinois. He is a down to earth, true to the Scriptures, straight-shooting kind of preacher. He loves God and loves the people of God. You will enjoy his teaching/preaching and learn much from him. The theme for this year’s conference is “Known to Love God” based off I Corinthians 8:3 “But if any man love God, the same is known of him.” Our first session is Friday, Aug. 10th, 6:00 PM to 9:00 Pm with light refreshments served from 5:30 to 6:00. On Saturday morning Aug. 11th session time is 9:00 AM to noon with a continental breakfast served from 8:30 to 9:00 AM. Later on Saturday from 5:00 to 8:00 PM we will have a men and boys cookout and a fishing/archery competition. Dr. Gomez will give us a short archery demonstration. Tickets are needed for the cookout: $10 for ages 10 to adult. This gets you a ribeye steak with all the trimmings! Tickets for 9 yrs and below are $5 and gets you a hamburger with all the trimmings! Tickets must be purchased by Friday, August 10. For ticket purchase contact pastorbeadles@gmail.com and indicate how many tickets you need. Dr. Gomez will also be preaching in both morning and evening services on Sunday, Aug. 12th.